Social networking is now truly a global phenomenon. What's driving the continued growth of social media? How is consumer usage of social media evolving? How is social media impacting marketing? How does the continued growth of engaged social networking consumers play a role in your marketing plans for 2013? 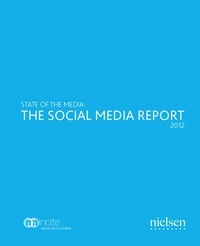 To learn more about the state of social media, read NM Incite and Nielsen’s Social Media Report 2012. Read about use of social media in the travel industry on our global travel guide Travel Explorations.